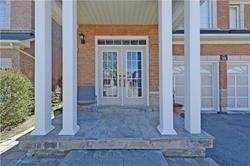 I am interested in 148 Vintage Gate, Brampton, ON. 148 Vintage Gate is a - square foot House for sale in Brampton, ON L6X5B3. It has 5 beds, 4 baths and was listed on Ovlix.com since April 15, 2019 by Coldwell Banker Ronan Realty for $929,000. Listing agent: Sarah Lunn. The average price for similar 148 Vintage Gate real estate listings - $875,639 which is 4% higher than $840,311 for Brampton, and 11% lower than $988,482 for Ontario. Comparable nearby homes are: 83 Earlsbridge Blvd, 1 Vista Green Cres, 46 Ryecroft Cres, 18 Gibbs Rd, 49 Yellowknife Rd. What's near 148 Vintage Gate, Brampton L6X: St. Augustine Catholic Secondary School, Rose Theatre Brampton, Fanzorelli's Restaurant & Lounge, Gage Park, Sir William Gage Middle School, Brampton Arts Council, Central Peel Secondary School, Gage Park, Brampton, Brampton Centennial Secondary School shooting.